AP Prathibha Awards 2018: AP Govt has announced District Wise Selected Candidates List of Prathibha Awards 2018. Students can check Pratibha Awards Merit list 2018 for all 13 Districts name wise below. 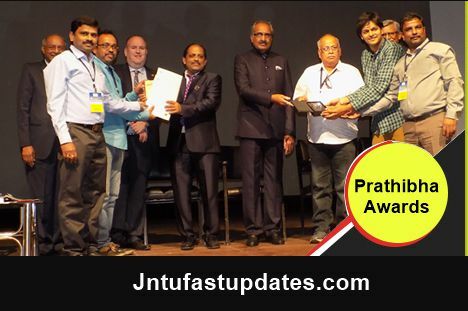 Government have introduced the scheme of “Prathibha Awards” to the meritorious students in the State of Andhra Pradesh. The AP Govt to give Prathibha Awards to students who have obtained Highest Marks in their concluded course of Diploma examinations or PG or Graduation of B.A., B.Sc (Mathematics & Physical Sciences), B.Sc (Life Sciences) and B.Com courses in each District and Category wise. The Selection of candidate for the Prathibha Award shall be based on the Merit list category and District wise furnished by the Registrar of Universities concerned in the courses B.A., B.Sc., (Mathematics & Physical Sciences)., B.Sc.,(Lift Sciences), B.Com, Diploma and PG Courses. The Candidate shall be selected for the Prathibha Award on the basis of Total marks obtained in the group subjects. In case of tie in the marks obtained by two or more candidates, the candidate who has secured more marks in languages shall be selected and if the tie still continues the Date of Birth shall be considered and the candidate who is elder shall be selected. “Prathibha Award amount for selected awardee shall be given in one instalment only @ Rs.20,000/- per awardee. The receipt of the award amount shall not be linked to other welfare scholarship amounts received by the candidate by virtue of their social/physical disadvantages, as the main objective of the scheme is to recognize the merit and to encourage continuity in their studies. All the candidates selected for Prathiba Awards shall be given (a) a cash Memo for Rs.20,000/- (b) a certificate and (c) Medal (d) an Electronic Tab obtained through IT&C Deptt., Govt. of A.P. Maximum amount of Rs.2000/- shall be allocated per student by the Registrar of the University concerned for meeting the cost of Travel, Lodging and Boarding for attending the award function. The actual expenditure shall be met by the concerned University. The actual expenditure shall be incurred by constituting a Committee consisting of (2) Senior staff members and (2) students for maintaining transparency. My name is Y.Nagendra babu from Z.PH.School mandavalli,krishna district. I got prathibha award recentiy held at ongole.I received tab and certificate but I haven't receive cash prize though I submitted my bank details.so ,please inform to me when did I receive cash prize. sir,I received prathibha award recently held at ongole .I got tab &certificates but I haven't receive cash prize though I submitted my bank details. so,please inform to me when did I receive cash prize? sir i will got prathiba award and money also take .but tab(mobile phone) will not received. Hello…the stundents have prathibha awards but they are not received prize money…whats happen ??????? Sir l have’ nt recieved my prize money even though ilI got prathibha award. Sir please reply. When we will be receiving the amount of prathibha award? Sir I got prathibha award 2017.but prathibha award amount is not received.